Zoo Ball at the Flamingo - Schaefer Advertising Co.
Each year the Fort Worth Zoo hosts an annual gala event, Zoo Ball, to raise money in support of the zoo’s ongoing mission of conservation. In a city as large and philanthropically minded as Fort Worth, it’s absolutely vital to break through the noise of other worthy charity events. This year being the 30th anniversary, the planning committee held high expectations for all aspects of the party. 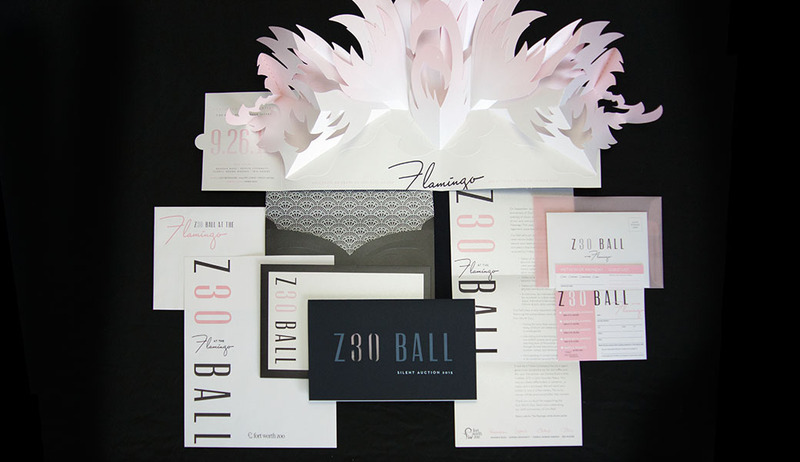 Dubbed 1940’s Las Vegas nightclub themed, we set on the path to creating a high-end invitation the encompassed the elegant event. To define the tone of the event, our first step was to create inspiration boards. 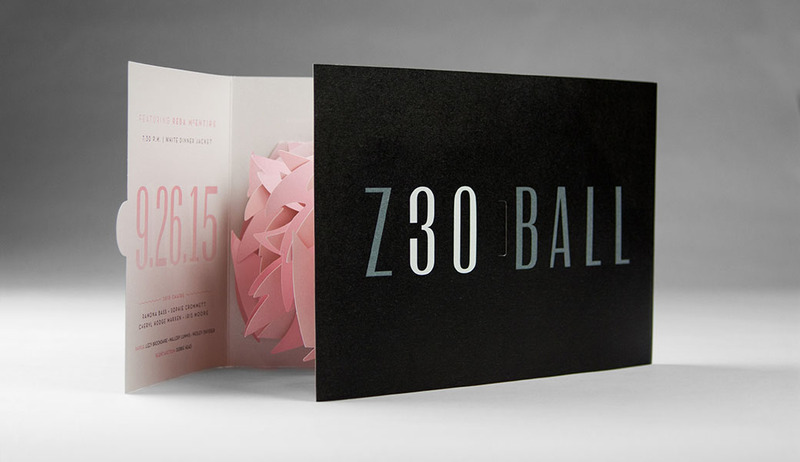 Focusing on high end elements, animal details and historic landmarks, we created the visual foundation for the invitation and ultimately the event. During our research, we discovered that Bugsy Siegel’s legendary Flamingo was one of the first nightclubs in Las Vegas. 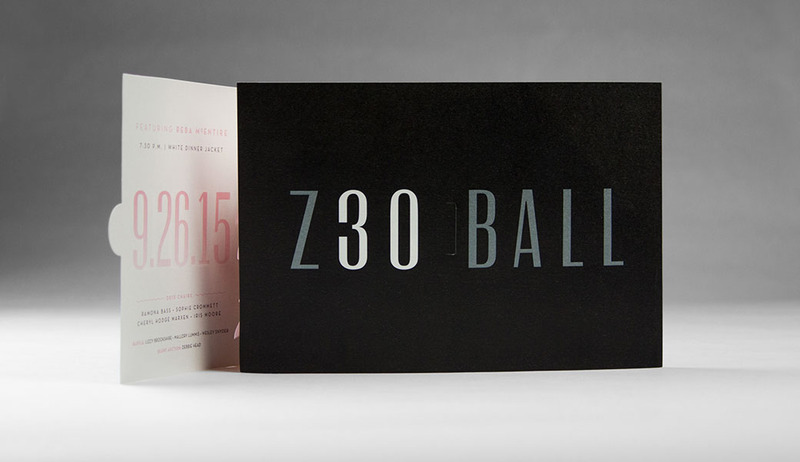 Leveraging the iconic venue, we titled the event Zoo Ball at the Flamingo. Just like that, the perfect animal pairing for our period event was born. 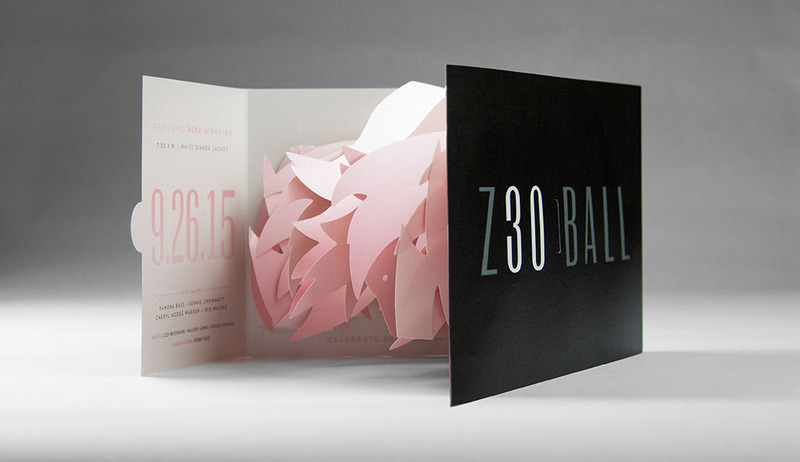 Harnessing the juxtaposition of larger-than-life Vegas shows within dark, unassuming nightclubs, we developed the concept for an elaborate three dimensional pop-up invitation. Though we may not be paper engineers per se, we always aim to seek what’s possible. Concept turned into reality through partnership with Cockrell Enovation and Structural Graphics, good ‘ole trial and error and more than one paper cut. The end result is a structural masterpiece. 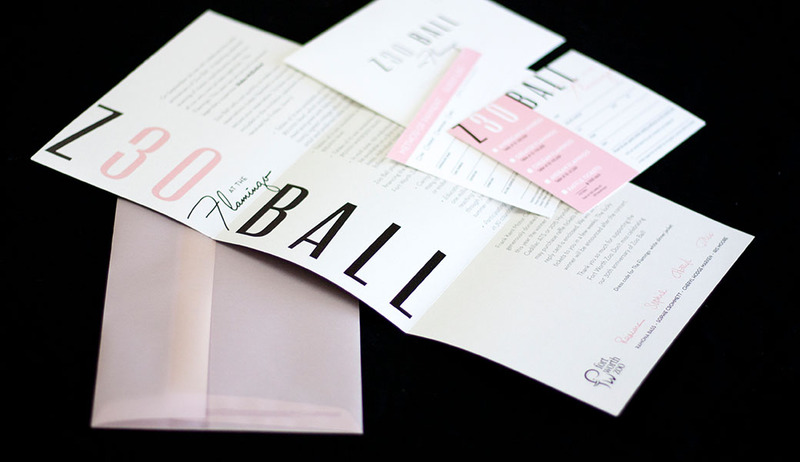 The custom envelope was built to ensure the piece would not get damaged in mailing. The guests were presented with what appears to be a flat “standard” invitation. 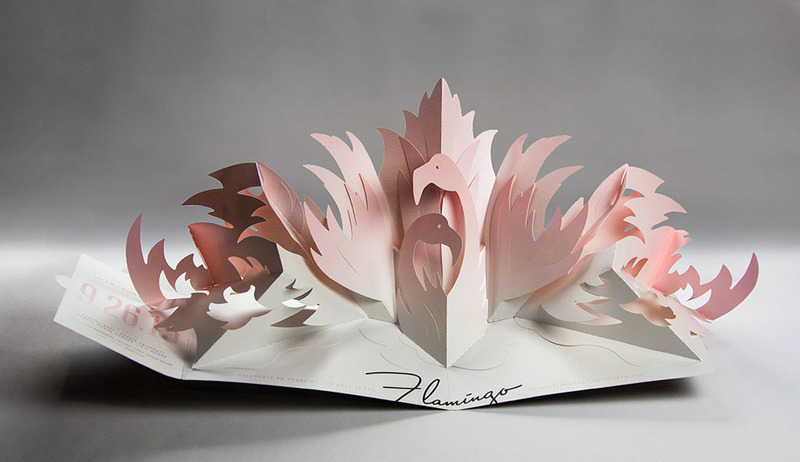 But upon opening, two pink flamingos emerge from the pages of the invitation, unfolding into an incredible display of creativity and paper construction. 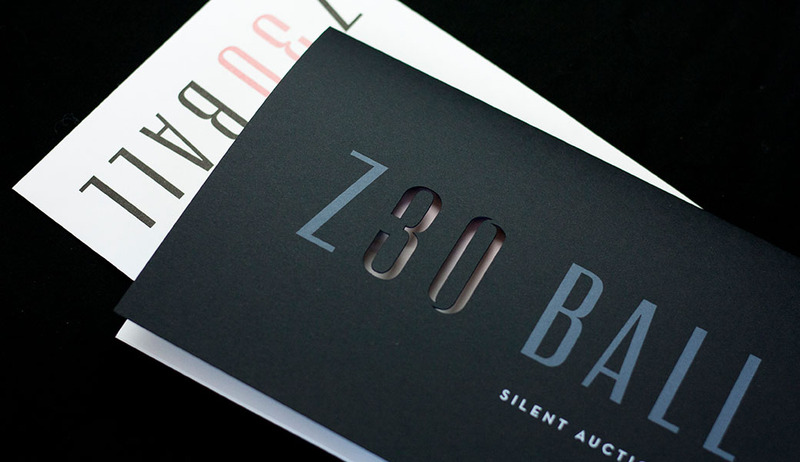 This year’s event sold out in record time and successfully raised a record-setting amount for the Zoo. Invitees began posting videos of the invitation on social media. And yet again, the bar was raised a little higher for next year. 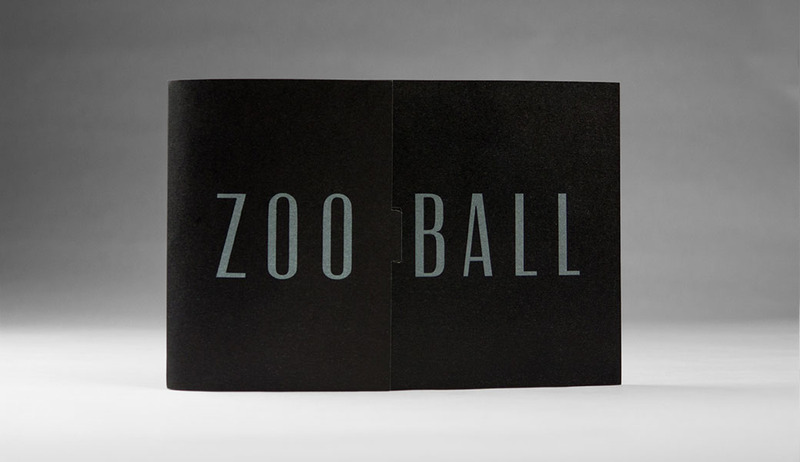 Schaefer was awarded a gold national Addy for the 2015 Zoo Ball invitation, for the second year in a row! To give it some context, we were one of only 83 gold winners out of 40,000 entries. 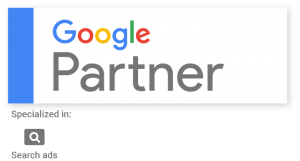 We’re incredibly proud of our back-to-back wins and excited to represent Fort Worth among some of the top agencies in the country. Check out the complete List of 2016 National Gold Addy Winners.